> the difficult task of working the granite. Well actually the granite carvers didn't have a problem NOT economising by carving these intricately shaped blocks complete with a perimeter lip. Among others. Yet somehow they managed to carve these uneconomical, intricately shaped blocks complete with perimeter lip in all manner of sizes and depths giving the builders a problem and no option but to modify the softer limestone wall. Damned inconsiderate if you ask me. 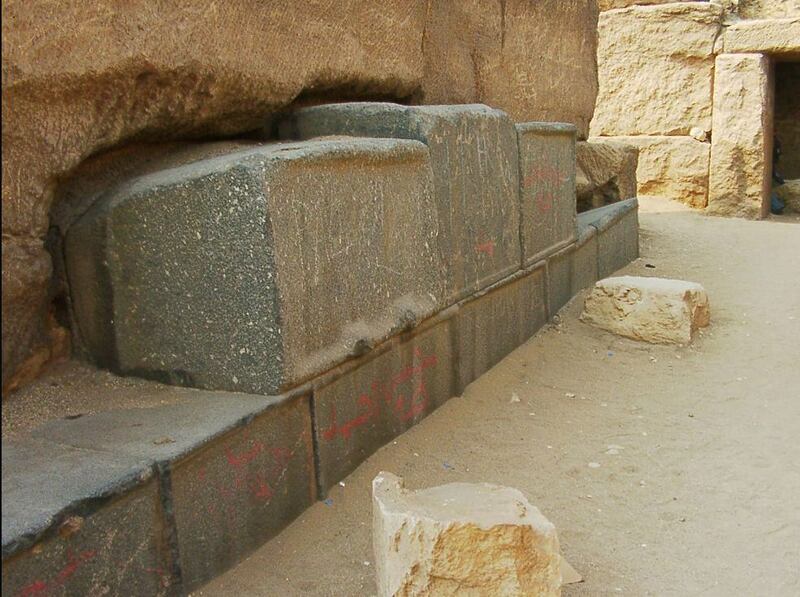 A complete lack of communication between the granite block carvers and the wall builders?